Wikipedia sockpuppet investigation: Is paid editing the problem or the answer? 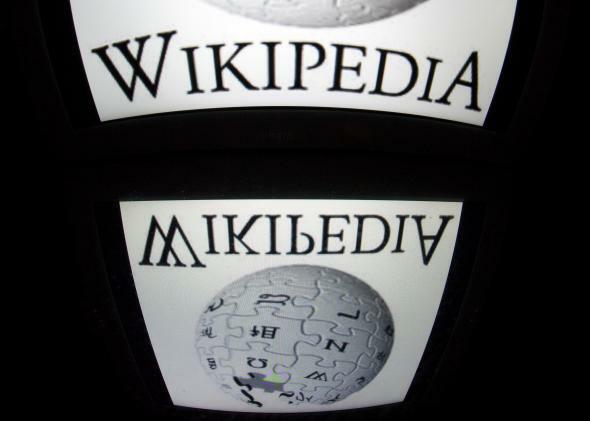 Behind the scenes, Wikipedia has been roiled with controversy. Wikipedia is a glorious resource and one of the most dazzling accomplishments of the Internet age. The online encyclopedia, built and maintained primarily by volunteers, is the world’s largest repository of free information, and much of that information is quite good. A surprising 2005 Nature study found that the quality of science articles on the site rivaled that of Encyclopaedia Britannica. * The site today carries enough authority that Google uses it to directly answer search questions. Behind the scenes, though, Wikipedia has been roiled with controversy. The latest round began with revelations that the site’s volunteer editors had uncovered a major ring of “sockpuppets,” or bogus user accounts, that were allegedly editing articles on behalf of paying clients. That’s a serious problem, because Wikipedia articles are supposed to be neutral, not promotional. And they’re supposed to be written and edited by disinterested experts—not PR firms. But Wiki-PR is defending itself, telling the Wall Street Journal that “the ‘PR’ in ‘Wiki-PR’ is a misnomer”—it’s simply a “research and writing firm” that helps clients ensure that articles are neutral and accurate. Even that would seem to run afoul of Wikipedia cofounder Jimmy Wales’ dictum that paid editing is “antithetical” to the site’s mission. The thing is, Jimmy Wales doesn’t run Wikipedia. No single individual, corporation, or nonprofit does, either. Wales founded the nonprofit Wikimedia Foundation in 2003 to support the site and maintain its infrastructure. But the real power over the site’s content lies with a core group of top volunteers, who serve as “admins” tasked with overseeing the collective editing process, adjudicating disputes, and conducting sockpuppet investigations. These admins—there are roughly 600 on the English-language site—do an admirable job, but are often at loggerheads and are prone to endless bickering when confronted with controversy. And, more problematically, they’re stretched increasingly thin as the site continues to grow in scope and stature. The problem was detailed in a major MIT Technology Review story on Tuesday, headlined “The Decline of Wikipedia.” In the piece, Tom Simonite reports that the number of active editors on the site has been declining for about the past five years, and that coverage has continued to skew toward topics of interest to tech-savvy white males. Editing-for-pay has been a divisive topic inside Wikipedia for many years, particularly when the edits to articles are promotional in nature. Unlike a university professor editing Wikipedia articles in their area of expertise, paid editing for promotional purposes, or paid advocacy editing as we call it, is extremely problematic. We consider it a “black hat” practice. For Wikipedia declinists, the sockpuppet ring might look like another sign of Wikipedia’s inability to maintain its standards of quality as it continues to grow. The time, effort, and emotional capital required to prosecute the investigation has surely taken its toll on the site’s already weary admins. On the other hand, the investigation makes it clear that those admins continue to be as committed as ever to keeping the site clean—and that they possess some formidable detective skills. The Wikimedia Foundation’s strong public response is equally reassuring, though it also underscores how much Gardner will be missed when she steps down at year’s end. Ultimately, the sockpuppet episode may reflect well on Wikipedia’s ability to police itself. The biggest risk, then, may be that the sockpuppet affair gets too much attention—and that the focus on internal police work ends up distracting from the deeper problems of quality, vibrancy, and diversity that the MIT Tech Review story explored. Wikipedia may not be in decline, but it will be hard-pressed to significantly improve until it can figure out how to attract more talented and dedicated editors with different interests and backgrounds from around the world. In the end, it’s conceivable that will require more paid editing, not less. The question is, who will do the paying, and how can Wikipedia make sure they put the site’s interests—and those of the public at large—above their own?